Our mission is to improve lives by providing innovative solutions that expand the access, adoption, and use of high-speed internet to all people. Tom provides vision and leadership, guiding Connected Nation’s industry-leading efforts to bridge the digital divide and bringing economic vitality to communities through technology. During his tenure, CN’s portfolio has expanded and received acclaim as the leader in broadband mapping, planning, and program implementation. Samantha, a certified CPA, provides hands-on support of payroll, maintains financial records, prepares financial reports, and ensures compliance with financials policies and internet controls. Amanda uses Geographic Information Systems (GIS) mapping technology to create static and dynamic, interactive maps, through the analysis of demographic, economic, and broadband data. Bernie, a certified CPA, ensures compliance on all grants and resource allocations, oversees finances of Connected Nation’s projects and programs, and is experienced in private, government, and nonprofit settings. Lindsay monitors all current and forecasted federal and state broadband public policy legislation and initiatives. In this role, she develops recommendations on the strategic direction and development of Connected Nation policy studies and messaging to stakeholders while supporting and guiding Connected Nation’s broadband planning, research, and policy agendas. Contact Lindsay at lconrad@connectednation.org. Rachel provides assistance to the financial division in managing the financial activities of the organization including accounts payable and special projects. She is pursuing a bachelor of science in accounting from Western Kentucky University. David coordinates and manages the activities of various community planning teams, including training local champions, to bring together community leaders, educators, healthcare, and other sectors to participate in local technology planning. John E. Davies is the retired vice president of World Ahead for Intel Corporation. Davies focused on creating demand for Intel platforms via Solutions, new usage models, and ecosystem scaling. His mandate was to bring the benefits of technology to the next billion people by working with the industry, governments and development agencies. Davies has worked for Intel since 1978, when he joined the company as the Reliability/QA Manager. During his 37 years with Intel, Davies has worked in engineering and manufacturing, as marketing manager for automotive products in Europe, and marketing manager for strategic accounts. He has been director of Marketing for the Mobile Computing Group, and vice president and marketing director for the Consumer Desktop Products group. In the late 90’s John was vice president and general manager of Intel Asia Pacific Region where he was based in Hong Kong. Prior to joining Intel, Davies worked as a postdoctoral research fellow at IBM and as a development engineer at Philips in the United Kingdom. Davies received his B.S. in Chemistry and his Ph.D. in Solid State Physics from Imperial College, London University. Intel has awarded Davies two prestigious Individual Achievement Awards for establishing Intel in the European automotive market in 1986, and for driving Intel’s mobile computing architecture into the Japanese market in 1992. Jessica is responsible for overall brand strategy, which includes building program recognition through digital communications, media relations, and marketing opportunities. John provides consultation regarding provider data for Connected Nation’s mapping efforts, including acting as a local liaison and aids the boots-on-the-ground effort for data validation as the maps are being prepared. Brian uses Geographic Information Systems (GIS) mapping technology to create static and dynamic, interactive maps, through the analysis of demographic, economic, and broadband data. Mr. Elliot is currently the Founder and CEO of iMedGo. Previously, he was the CEO and Founder of Nuvel,Inc. an internet acceleration software company. He also is the author of the worldwide best selling book, The Steve Jobs Way. Prior to Nuvel, he was the Founder and Chairman of Migo Software, Inc. a mobility software company. Mr. Elliot has more than 30 years' operations experience with such corporate giants as IBM, Intel and Apple Computer. He served as the Senior Vice President of Apple Computer, responsible for all corporate operations plus overall corporate business planning, reporting directly to Steve Jobs, Chairman of the Board, CEO, and co-founder of Apple. Mr. Elliot met Steve Jobs in a restaurant in Los Gatos, a small town in California. Steve was impressed with his entrepreneurial insight into computers and was hired 4 weeks later. His first day at Apple was a Saturday, and he accompanied Steve to Xerox Park to view the Star System. Steve and Mr. Elliot hit it off immediately and as a member of the Macintosh Development team he oversaw the software development of Macintosh. During his tenure at Apple sales grew from $150 million to more than $3 billion. After graduating from college, Mr. Elliot joined IBM as a programmer working on the airline reservation system and moved into management in several key projects in the disk drive development business, development of the ATM system, and the Fair Transaction System and eventually managed the company’s 16,000-employee software division as the Director of the IBM Santa Teresa software Laboratory. In 1980 he called Andy Grove and joined Intel as site Director of the California operations. He also worked with Gordon Moore, chairman of Intel, in the creation of the Intel Foundation. In the healthcare industry, Mr. Elliot was the chief executive officer of New Health Systems, a network technology group connecting physicians and payers to patients and affiliated hospitals. As part of the New Health plan, Mr. Elliot spent one year with the UCLA Medical Center and UCLA Computer Science Department helping to develop a software system for the operation of tele-medical centers. Mr. Elliot holds a B.S. in Mathematics from San Jose State University and a B.A. degree in Business from the University of California at Berkeley, California. He also was the author of "The Steve Jobs Way." Eric is responsible for managing the development and implementation of Connected Nation’s Connected Community Engagement Program (Connectedsm). He also develops and maintains partner relationships and provides primary management, oversight, and support for Connect Michigan’s state broadband strategies. Madelynne supports human resources through data entry, employee relations, and employment exit and entry processes. She also assists Communications with blogs and project management. Madelynne is pursuing a bachelors of science in management from Western Kentucky University. Heather is responsible for strategy development and implementation of programs that impact Digital Inclusion for all people in all places. She provides project management services including identification of program challenges and goals as well as day-to-day oversight and funding research. Heather also serves on the Federal Communications Commission’s Advisory Committee on Diversity and Digital Empowerment (ACDDE). In December 2017, Duvall was appointed to the White House Advisory Committee for Trade Policy and Negotiations. Also in 2017, he was honored by the National 4-H Council as a founding luminary. Prior to being elected AFBF president, Duvall served for nine years as president of the Georgia Farm Bureau. As GFB president, Duvall’s service on the AFBF board of directors included roles on the AFBF Trade Advisory Committee, including several international trade missions, and on the AFBF Finance Committee. He also was recognized with several state appointments, including then-Georgia Gov. Sonny Perdue’s Agricultural Advisory Committee and the Georgia Development Authority. His many state honors include Georgia Dairy Family of the Year. Duvall’s long leadership history includes service on the Georgia Farm Bureau Young Farmers Committee and Georgia Farm Bureau board of directors. He also served on the AFBF board of directors as chair of the national Young Farmers & Ranchers Committee in 1987. Zippy and Bonnie have been married for more than 38 years and raised four children: Vince, Corrie, Zeb and Zellie. They now enjoy spending time with their five grandchildren. They attend New Hope Baptist Church in Greshamville, Georgia, where Zippy serves as a deacon. Ashley oversees the day-to-day operations of the GIS team. She’s responsible for developing strategies using GIS to provide data visualization solutions that impact policy, economic development, and the digital divide. 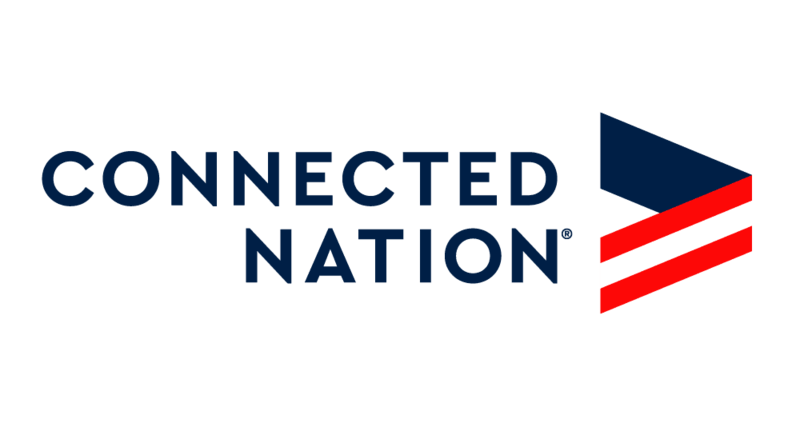 Ryan manages, secures, and oversees the network operations center and systems at Connected Nation and manages the development and implementation of long-term technology strategies for Connected Nation and its programs and projects. Brent has primary responsibility for leading Connected Nation’s government affairs and public policy team, working with federal, state, and local officials to advance legislation and/or executive actions that will improve access to, and the quality of, broadband service and related technologies. Brent has more than ten years of experience working at the intersection of technology, politics, and public policy, and has provided expert testimony on broadband issues before the U.S. Congress and the legislatures of 12 states. Mr. Legg also has extensive experience working on education technology and school connectivity issues, and is a recognized expert on the federal E-rate program. Contact Brent at blegg@connectednation.org. Ms. Lazarus is a leading advocate and policy expert on a wide range of children’s issues, having spent more than thirty-five years working on the front lines for children throughout the nation. She is the Founder of Kids Impact Initiative, a start-up venture to support and strengthen existing advocacy for children by increasing accountability on issues that affect children’s well-being and helping develop the next generation of advocates. Her distinguished career includes founding and leading The Children’s Partnership for 22 years, serving as the Children’s Defense Fund’s first Director of Health in Washington DC, serving as founding Vice President for Policy for Children Now, and as a consultant to the Conrad Hilton and Piton Foundations. Throughout the years, she has helped secure improved health care, child support, access to information technologies, and other vital resources for hundreds of thousands of children and families. Under her leadership at The Children’s Partnership, between 1993 and 2015 Ms. Lazarus helped define children’s interests in the burgeoning digital economy, creating and raising the profile of the first-ever children’s digital opportunity agenda in the United States. Ms. Lazarus helped secure first-in-the-nation technology policy gains in California and has directed the development of an online technology policy resource used across the country and internationally. She has accomplished pioneering work on the content dimension of the Digital Divide, having co-authored the first comprehensive report on internet content from the standpoint of the needs of underserved Americans and produced a widely used Parents’ Guide to the Internet. Ms. Lazarus has authored more than 25 reports and articles on a wide range of topics affecting children and is frequently turned to as an expert and strategist by policymakers, advocates, grant-makers, and the media. She has been interviewed by dozens of media outlets including: ABC World News Tonight, Tavis Smiley Show, The New York Times, Los Angeles Times, San Jose Mercury News, Sacramento Bee, San Francisco Chronicle, Chronicle of Philanthropy, and CNET. Ms. Lazarus serves as a board member or advisor to a number of national, state, and community-based organizations and companies. She served on California State Superintendent Delaine Eastin’s Educational Technology Task Force, Governor Schwarzenegger’s Broadband Task Force, and National Institute of Health’s Child Health & Human Development Council, among others. She also developed and taught a graduate-level course in child advocacy at UCLA. Ms. Lazarus graduated from Yale University in Yale's first class of women graduates, and received her Master's degree in Science in Public Health from the University of North Carolina. She lives in California with her husband and has two adult children. Gina provides executive and administrative support to the Chairman & CEO and other leadership team members as necessary. She also serves as the liaison to the board of directors and assists with facility management for Connected Nation’s corporate office. Dan coordinates and manages the activities of planning teams and provides “train-the-trainer” activities on the broadband landscape to spur digital literacy activities in support of Connected Nation’s Connected Community Engagement Program (Connectedsm) and the development of community-specific Technology Action Plans. Lily provides support to the Communications Department through social media outreach and writing. She also adds a source of creativity to the team with a background in personal relations and marketing. Lily is pursuing a bachelors in corporate and organizational communications from Western Kentucky University. Mark brings with him more than 20 years of experience in strategic leadership for both nonprofit and for-profit organizations and provides a unique perspective on the relationship of technology to public policy, business practices, and culture. Chris works with Connected Nation staff and external stakeholders to develop research deliverables and provide critical analysis. He uses qualitative and quantitative techniques to interpret data, formulate reports, and make substantiated recommendations based on research findings. Chris acts as the primary relationship manager for placement and development of new broadband programming both nationally and internationally. Chris identifies the broadband needs of various state agencies, libraries, educational systems, etc., and responds with comprehensive solutions. He also speaks Danish and Spanish. Charlie conducts field validation exercises and creates reports to provide understanding of the data collected. With more than 15 years of hands-on management experience in the ISP industry, Charlie also serves as a liaison between the provider community and Connected Nation. Grant E. Seiffert was recently appointed to the Federal Communications Commission's (FCC) Broadband Development Advisory Committee's working group on "Competitive Access to Broadband Infrastructure." He previously served as president of the Telecommunications Industry Association (TIA). Seiffert oversaw the policy, standards, tradeshow and marketing efforts for the leading advocate in Washington, D.C. for the information and communications technology (ICT) industry. Seiffert joined TIA in 1996 as director of government relations. His main priority was the representation of the equipment industry’s interests, particularly regarding competitive issues during implementation of the Telecommunications Act of 1996 by the Federal Communications Commission (FCC). He was promoted to vice president in 1998, directing domestic and global policy to help the association’s supplier members gain marketing opportunities around the world. In that role, he oversaw policy, including interaction with the U.S. Congress, the FCC and the Administration, as well as with international regulatory bodies and government leaders, and fulfilled the senior management role for association membership and TIA tradeshows. He succeeded Matt Flanigan as president of TIA in January 2007. Prior to joining TIA, Seiffert served five years with Senator John McCain (R-Ariz.). He holds a Bachelor of Science degree in political science from Radford University, where he served as vice president of his sophomore class and as a senator in student government for three years. He and his wife, daughter and son reside in Mt. Vernon, Virginia. Chip leads the ETS team in discussions with broadband service providers on data collection and improvements, developing propagation models for wireless coverage, and providing engineering solutions for providers, communities, and states. He also oversees extensive field validation and mobile drive testing. Tammy is responsible for providing day-to-day oversight of Connected Nation’s Digital Works program, including a wide range of training, mentoring, and supervisory activities. These activities provide guidance for job placement and career growth. Tom coordinates and manages the activities of planning teams and provides “train-the-trainer” activities on the broadband landscape to spur digital literacy activities in support of Connected Nation’s Connected Community Engagement Program (Connectedsm) and the development of community-specific Technology Action Plans. Mandi is responsible for guiding and managing the overall provisions of Human Resource services, policies, and program. She manages the operation of all functional areas of Human Resources and provides support on strategic organization development. Shawn coordinates and manages the activities of Iowa’s community broadband planning teams. He identifies and trains local champions to bring together representatives from local government, education, business, and other sectors to take part in the planning process. Take part in our mission to bring broadband access, adoption, and use to all families, businesses, and communities. Click below for a list of our current job openings and career opportunities.